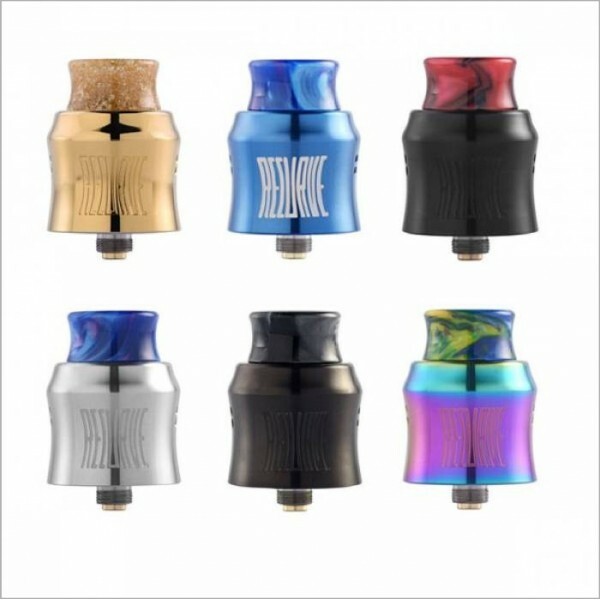 Wotofo Recurve RDA is a recent collaboration between Wotofo and the well-known YouTube reviewer Mike Vapes. 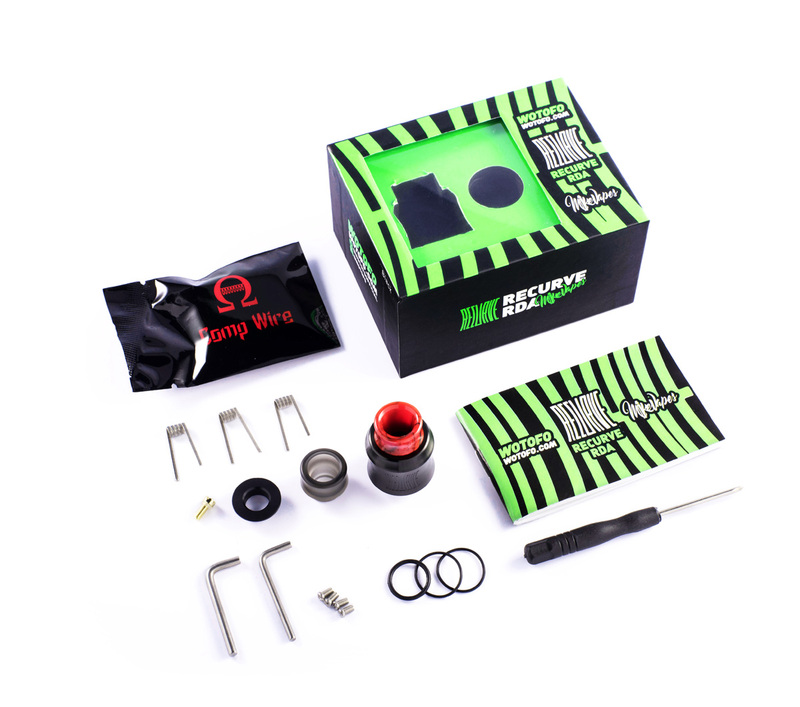 This single coil RDA gets its name from its overall shape, which is a total innovation compared to the existing straight sleeve design on all RDAs available now. 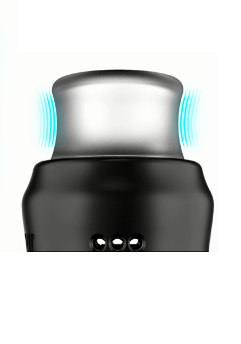 The sleeve of this RDA curves like a recurve bow implying energy and efficiency. It is 24mm in diameter and features side & bottom airflow hitting on postless coil installations to give a sensational flavor burst. 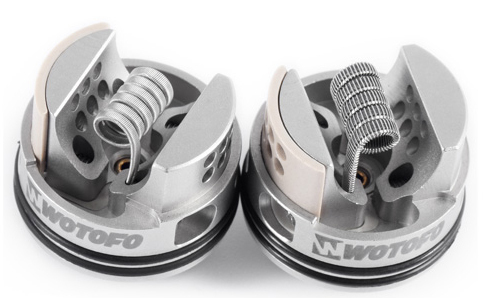 The Recurve RDA is short with a narrowed middle to form a classic curve. 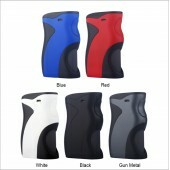 The curve doesn’t end at the sleeve part, it extends to the drip tip design. The 810 resin drip tip is also molded into a curve shape that fits just perfectly between your lips when you inhale. The deck is shaped like a bowl from a sectional view. 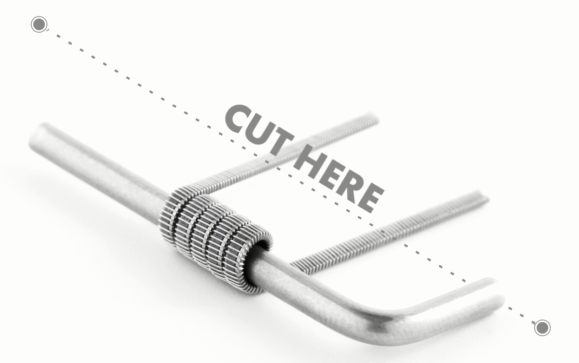 We utilize dotted air inlets instead of large slotted air inlets for the purpose of softening the airflow as to enrich the flavor. 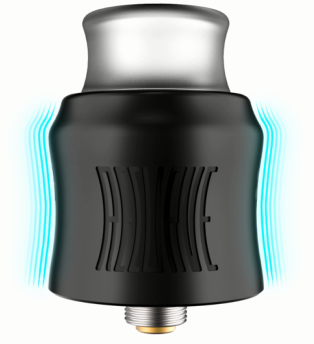 The Recurve RDA utilizes two-directional airflow to enhance flavor production. 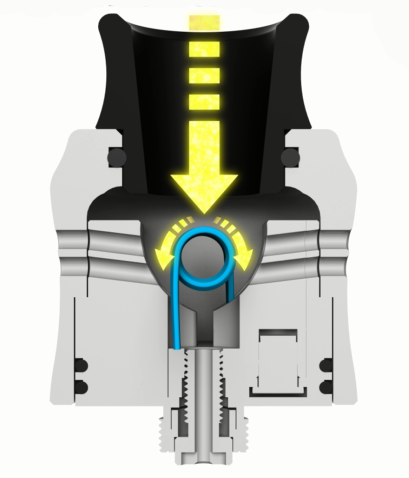 The design of the inlet air channel is very subtle as it enters horizontally and then slopes down a little towards the center of the deck to avoid juice leakage, making it squonker-friendly while squeezing. 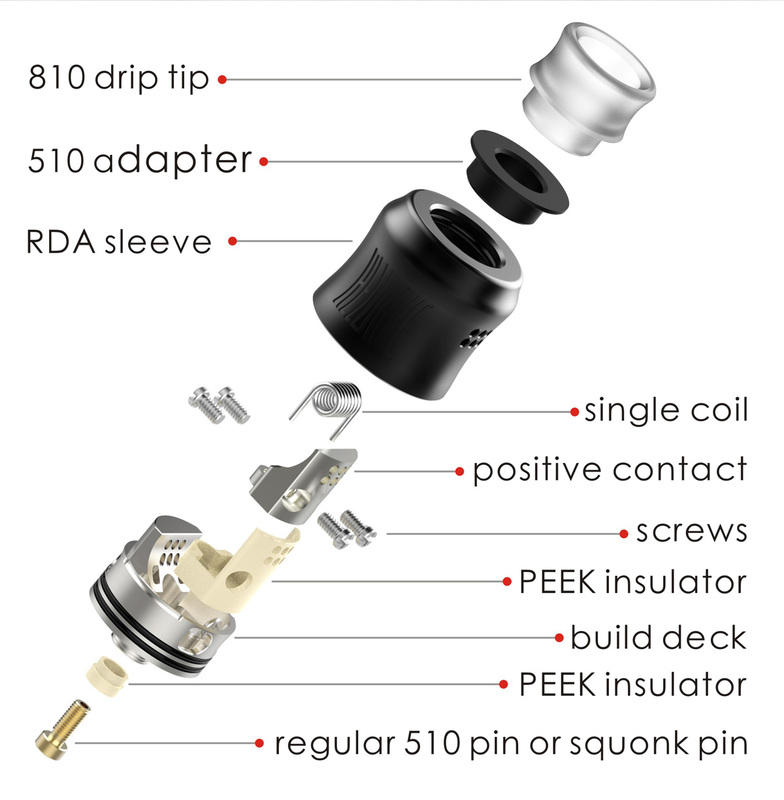 The Recurve RDA features a postless single coil design. 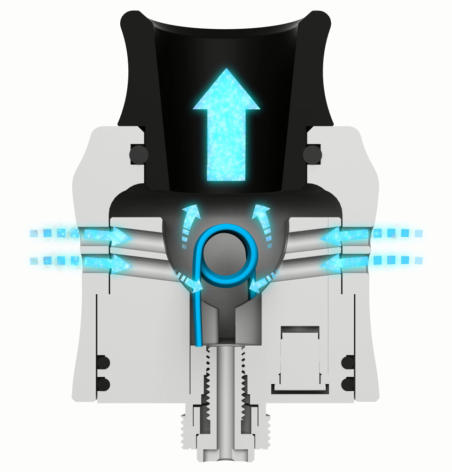 Four terminals are located at the deck to allow coil mounting for both forward and reverse wrapped coils. 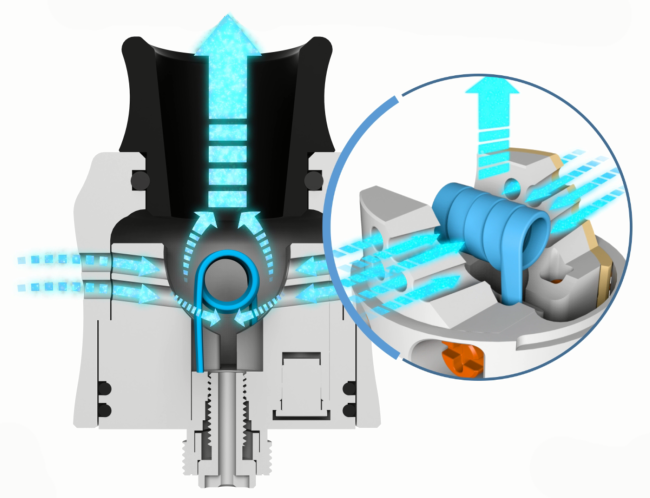 There is an included coil lead measurement tool to ensure the perfect coil installation. All is done with ease. Tried and tested, the flavor from this RDA is absolutely phenomenal. Each flavor in your juice can be tasted in a strong and rich way. 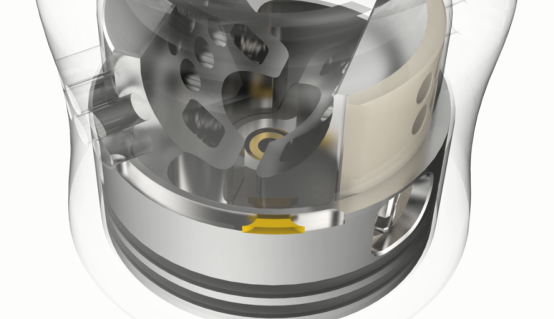 With a relatively small vaporization chamber and an improved airflow design, this RDA reached a higher level in flavor production.